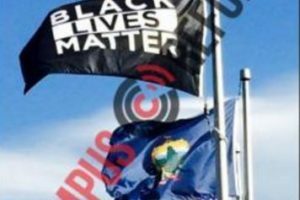 For Black History Month, Montpelier High School in Vermont will fly a ‘Black Lives Matter’ flag on their high school campus. A play that counters some Black Lives Matter narratives has been canceled at Brandeis University after outcry and criticism by students and alumni. A Black Lives Matter activist has been hired at the University of Kansas, despite a ban from a campus building after he exchanged angry words with a dean. 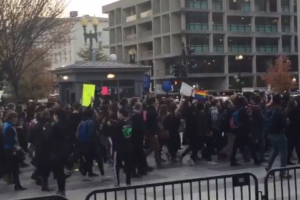 Liberal billionaire George Soros is funding anti-capitalist efforts, and the American Association of University Professors (AAUP) is a part of the effort. A ‘Black Lives Matter’ themed vandalism incident defaced the “Silent Sam” monument at the University of North Carolina and the university is investigating it. An English assignment at George Mason University irked a conservative student, who then told The College Fix of why the essay was objectionable. Somehow, a high school student was accepted into Stanford University after writing #BlackLivesMatter in his application 100 times.